My blog is a place where I take apart my ideas, and piece by piece, tell the story of how they were made. Each episode is produced and edited by host and creator aka me, wherever I am. Using the jumbled, thought tracks that keep me awake at night, I ask myself to delve into the specific decisions that went into creating my work. I barely edit them, and not frequently enough checking for typos, but condensing the story to be tightly focused on how bring my ideas to life. 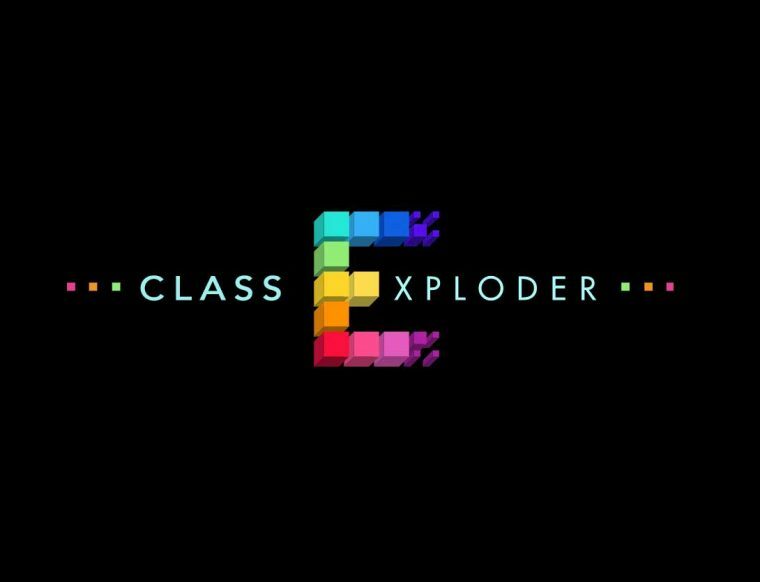 A parody recast of the Song Exploder meant only for parody and educational use, don’t sue me, ok? Before I add this to the Activity Bank, I need an example, so I am choosing from my recent Networked Narratives class the one for Week 11.0: The Game Board of Digital Redlining. This is a class I taught Spring 2018 for a class at Kean University; the unusual structure of the class was that the students were in a classroom in New Jersey while I taught by developing materials on a course web site and appearing in class via Google Hangout. This was for part of the course where we had already investigated principles of games and explored a collection of classic computer games as well as empathy games. It’s important to know that for the entire course I have been weaving a theme of asking students to question what it meant to have a Digital Life. I wanted to do something that was not just about games themselves, but how gaming principles might be used to look at things outside of games. I had a seed of an idea earlier in the semester, that meant reaching out to Chris Gilliard for his work on digital redlining. The idea that bounced around my head was– could the concept of digital redlining be somehow investigated as somewhat having game mechanics, not that it was a game at all, nor for entertainment, but was situation where those in power created a set of rules that citizen players had to navigate. At the same time, one of the Kean Writing Studies graduate students I was advising was researching and writing a young adult novel about an inner city Newark teen was suddenly forced to live with a father she did not know who lived in the affluent area of Milburn. Ironically, I have visited friends who live in Milburn, but I also was aware that these two vastly different socioeconomic communities were not very far apart geographically. Since Chris’s digital redlining work was focused much on his home city of Detroit, I was thinking my students might be able to investigate how things were in Newark, New Jersey. I was not really sure if this was reasonable, but I reached out to Chris by twitter DM with the idea, and he was willing to join me in a Google video chat in late February. 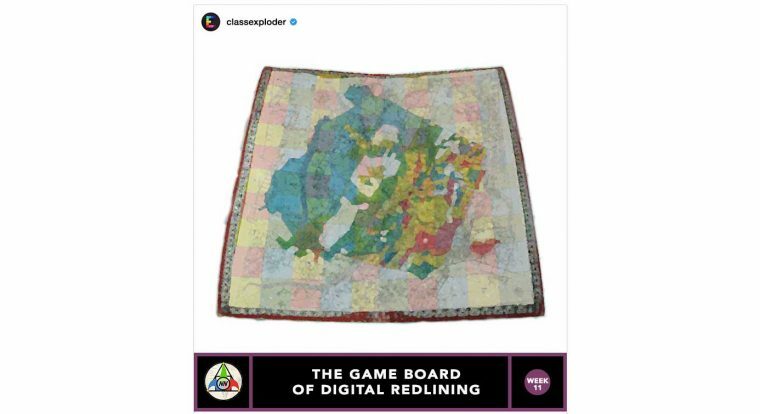 In that conversation we landed on the idea of maps, the original redlining maps and the maps that showed differential distribution of digital services might be considered a “game board”. Chris rattled of a few possibilities of the kinds of digital services my students could look at and subsequently he tweeted me even more examples. We started co-editing a Google Doc for brainstorming. I felt like the hardest thing to do would be finding the kind of data showing digital services distribution in the Newark area. The idea that tied it together came again from thinking about maps. For the Mural UDG project I was part of in March, we had introduced faculty to the H5P suite of interactive web widget building tools— the light bulb that went off was asking students to use the juxtapose tool to superimpose a map of modern digital services atop the historic digital redlining map of Newark. Knowing the students did not all have access to graphics tools like Photoshop, I tested in the ability of the web based editor pixlr. By putting the base map in pixlr as a layer, importing a modern map of digital services, setting the opacity of the later so the base layer could be seen, a student could resize that map to align commons geographic features like the two rivers that run through the city. and the entire activity was written up as a “Make” in the NetNarr Make Bank (a site similar to the Ontario Extend Activity Bank). That was the activity part, but there was more to this class that needed to be in place. I start my classes with an “opener” meant to generate some discussion, so we first watched a short video about the history of redlining as well as a part of a talk Chris gave about digital redlining. My classes meet once a week for 3 hours, and this left the second half of class as time for the students to try and complete the “make” for creating a digital redlining “game map”. Include reflections on what you learned about redlining / digital redlining. How could people affected better understand it? As we discussed in class, while it is not a game at all in terms of being entertaining, can you identify in any ways the mechanics, process might thought of as having elements of games? Share a link to the Make Bank response to Digital Redlining: The Newark Game Board including the H5P image juxtasposition content you created. How might this be like a game board? Does it really indicate digital redlining? What would it take to do so? Because of the way these “banks” work, the Make for Digital Redlining: The Newark Game Board includes the student responses. You can see the final class plan for this at http://netnarr.arganee.world/week-11-0/. I was impressed that all the students managed to get through the several steps and tools to produce their comparison “game maps” but also at the in class discussion and followup blog posts how this unit gave them insight into a social issue they had not considered before. Featured Image: I made a mashup of the way Song Exploder blogs their episodes with the graphic I had created for the Week 11 plan– the latter was a composite of the Essex County Redlining map from the Mapping Inequality Project licensed Creative Commons Attribution-NonCommercial-ShareAlike 4.0 International License superimposed on Game, board (AM 1967.16-1) Wikimedia Commons image by Auckland War Memorial Museum licensed under Creative Commons CC BY Attribution license. The Little "b" and the Big "C"